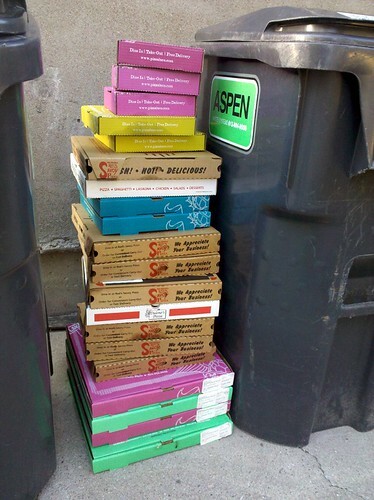 Riding down the alley yesterday afternoon, I did a double-take upon seeing the below, neatly organized pile of pizza boxes. The boxes with address labels on them all verified the same residence. Hopefully this is more than a 2-week supply, assuming the frequency of the recycling pick-up. 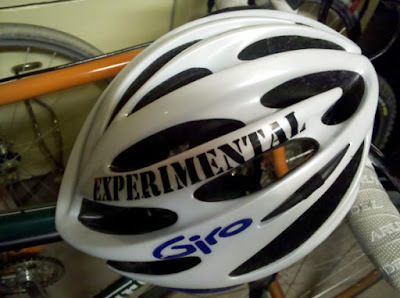 And if this is your helmet, it's been in my garage for a few weeks, come and get it; it's too small for my head.